If you're planning for a big purchase and you want to pay it off in installments without piling up interest charges, paying for it with a zero-interest credit card is a good option. Just don't forget that, like all good things, this deal doesn't last forever. By law, a credit card's promotional interest rate must last at least six months unless you default on your payments. But the best no-interest credit cards stretch that deal for much longer. 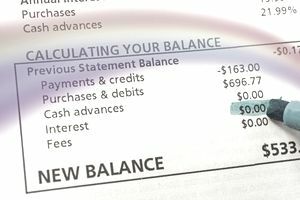 Once the introductory period has ended, the balance remaining will be charged monthly interest at the annual percentage rate (APR) you agreed to up front. The APR you get will depend on your creditworthiness at the time you apply. For the best benefit, pay off your entire balance for the big purchase before the promotional period ends. The best credit cards offer more than zero-interest purchasing power. Each of the credit cards on this list offers a no-interest promotion for balance transfers as well. That makes them good for making interest-free purchases or transferring a balance to reduce overall debt, or both. Keep in mind that transferring a balance may trigger a balance transfer fee. Some credit cards offer other perks like waived fees or rewards. You'll typically need a good to excellent credit rating to qualify for the best no-interest credit cards. Note: Banks change their credit card deals frequently, even in mid-year and especially when interest rates are volatile. The numbers below were accurate in mid-2018. Check the latest numbers in the issuing bank's fine print before you apply. Citi Simplicity has a 0 percent introductory APR on balance transfers for 21 months and 12 months on purchases. After the promotional period ends, the variable APR will be 16.24 percent to 26.24 percent, based on your creditworthiness. It also comes with Citi Price Rewind, a price protection feature that automatically credits your account when the price of an item you've purchased drops. If you use your card to transfer a balance, you'll be charged a fee of $5 or 5 percent, whichever is greater. The balance transfer fee increases the amount you ultimately have to repay, but you'll save in the long run if you pay your full balance before the promotional period ends. Cash advances are charged an APR of 16.24 percent to 26.24 percent and a fee of $10 or 5 percent. Whenever possible, avoid cash advances during a promotional period, because your payments potentially will be split between balances with and without interest rates. The drawbacks: You won't earn any rewards on the credit card, and you can't transfer a balance from another Citi credit card. Once the promotional period ends, the regular interest rate for purchases and balance transfers will be 14.24 percent to 24.24 percent. As with Citi Simplicity, balance transfers are charged a fee of $5 or 3 percent, whichever is greater. Cash advances are charged 25.74 percent and $10 or 5 percent of the cash advance amount. There's no annual fee, but unlike the Citi Simplicity card, the Citi Diamond Preferred charges a late fee of up to $35. Citi Diamond Preferred also charges a penalty rate of up to 29.99 percent if you fall behind on your credit card payments. Citi Price Rewind also applies to purchases made on your Citi Diamond Preferred. Chase Slate offers a 0 percent introductory APR on purchases and balance transfers for 15 months. After the introductory period, the regular APR will be 16.74 percent to 25.49 percent based on your credit rating. For those who want to transfer a balance at the least possible cost, Chase Slate is a fine choice. There's no balance transfer fee within the first 60 days, which is an especially attractive perk if you have a large balance to transfer. If you are considering using Chase Slate for a balance transfer, those first 60 days are the best time for it. After that, the balance transfer fee is a whopping 5 percent of the amount transferred. While you will pay a late fee up to $37, there's no annual fee on the credit card. Chase Slate also doesn't charge a penalty APR, which means your interest rate won't go up if you're late on your payment. You'll also receive your monthly FICO score for free with your credit card billing statement. Your complimentary FICO score will help you keep up with changes to your credit score. The cash advance APR is 25.49 percent, and the cash advance fee is $10 or 5 percent. Chase Freedom offers a 0 percent introductory APR on purchases and balance transfers for the first 15 months of the account opening. After that, the regular APR is 16.74 percent to 25.49 percent, based on your creditworthiness. Chase Freedom is one of the rare no-interest credit cards that pay rewards. If you're approved, you can receive a $150 bonus if you spend $500 on purchases in the first three months from the account opening. You'll also get a $25 bonus when you add the first authorized user and make the first purchase within the first three months. To qualify, you can't have received another bonus from any Chase card within the past 24 months. The rewards are good. You'll earn 5 percent cash back on up to $1,500 in purchases in bonus categories that change each quarter. Make sure you activate the feature, or your purchases will earn only 1 percent cash back. The U.S. Bank Visa Platinum Card offers a 0 percent introductory APR on purchases and balance transfers for the first 20 billing cycles. After that, the variable APR is 11.74 percent to 23.74 percent based on your creditworthiness. Note that a term of 20 billing cycles is shorter than 20 months, since billing cycles are typically 25 to 29 days long. Balance transfers are charged 3 percent of the transaction or $5, whichever is greater. The cash advance fee you're charged depends on the type of transaction—from an ATM withdrawal to a cash equivalent advance. In any case, try to avoid such fees since they begin accruing interest right away. The U.S. Bank Visa Platinum Card receives Platinum Visa Card benefits, like zero fraud liability, fraud protection, auto rental insurance, and online banking. There's no annual fee. Late fees up to $37 can be assessed.